With that in mind, in late 2017, Smith Power acquired the southern African distribution rights for Cangini’s range of attachments. 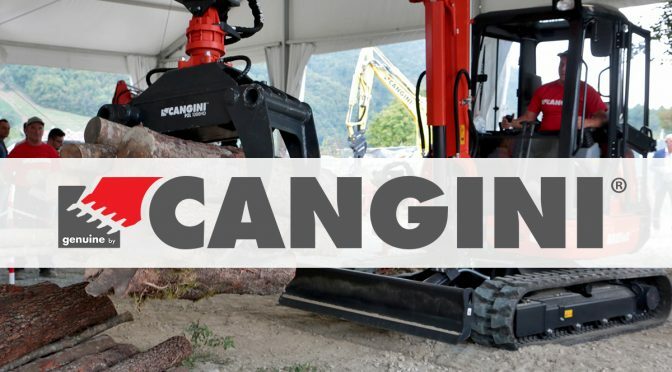 Cangini is an Italian-based manufacturer of a wide range of attachments. There has been a significant uptake of the attachment range thus far, says Tom Bloom, GM Construction at Smith Power Equipment. Bloom says most of the units have been sold to owners of compact excavators, TLBs and skid steers. “We have seen a big demand for the Cangini mulchers, quick hitches, augers and racks,” he says. 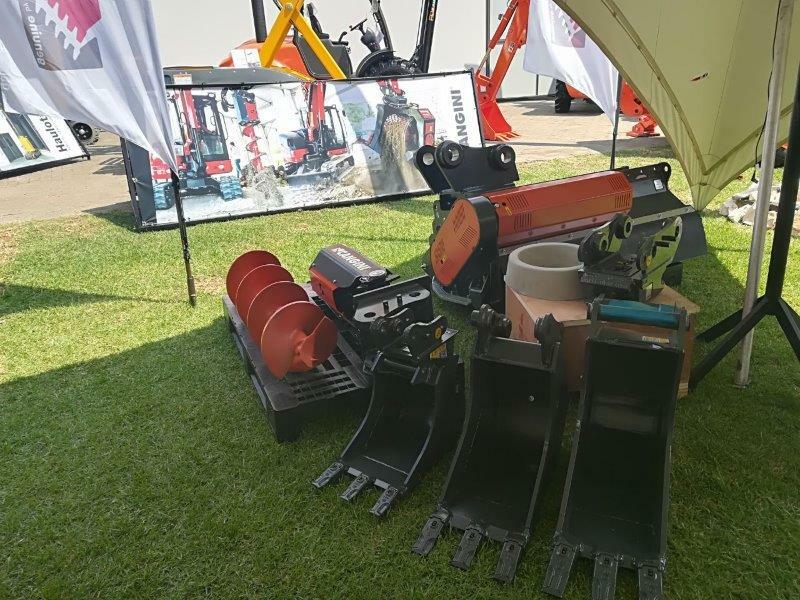 The range is extensive and includes the 4-in-1 bucket for excavators; AR fast lock; auger; broom sweeper for excavators; CR twin lock; Twist 180°; extension arm; jointed brush; mixing bucket safe discharge for excavators; mulcher; multi-screening bucket; pallet fork for excavators; screening bucket; sharp-cut branch cutter bar; single-force & multi-force rippers; sorting grapple; and wood grabs. The 4-in-1 bucket is suitable for loading, unloading and handling operations. Thanks to its hydraulic opening, it is suitable for various material grabbing, waste discharge control and ground levelling applications. Its safety check-valve allows for safe keeping of the tool, even in case of damage to the pipes or pressure loss in the system. The HB400 reinforcement stripes and cutting edge grant high resistance against deformation of the more stressed parts. The hydraulic system is integrated into the body, thus protecting pipes from damage during working. The AR Fast Lock patented quick coupler enables fast locking and unlocking of the attachment tools, considerably reducing replacement time. The mechanical version is provided with a semi-automatic system that requires manual intervention when the tool has to be released. Both the locking and the safe blocking of the new tool are automatic operations. In the hydraulic version, these functions are managed directly from the cab. The bidirectional hydraulic auger is equipped with a transmission with epicyclical gearbox and double tilting joint. A steel envelope protects the gearbox against shocks. Its double-pin attachment allows for perpendicular drilling in any slope condition. The epicyclical gearbox enables high performances, even with machines with low hydraulic flowrates. The broom sweeper for excavators is suitable for cleaning of horizontal and vertical surfaces and for areas where machines with frontal attachments cannot reach. It is equipped with stabilising shoes to safeguard brushes when the broom is set to the ground. It comes with standard throttle valves and pressure relief valves. The direct drive engine with disk gearbox is placed inside the brush shaft to reduce the tool’s operating overall width. The CR Twin Lock patented reversible quick coupler enables fast locking and unlocking of the attachment tools, considerably reducing the time for their replacement. The mechanical version is provided with a semi-automatic system that requires manual intervention when the tool has to be released. Both the locking and the safe blocking of the new tool are automatic operations. In the hydraulic version all these functions are managed directly from the cab. The Twist 180° is a bi-directional hydraulic actuator which enables tilting of tools or quick couplers up to an angle of 90° and to simplify the digging operations even in places that are difficult to reach. Meanwhile, the extension arm is particularly suited for operation in areas where the tool carrier’s standard range of action is not sufficient. The extension arm is supplied as a “partly completed machinery”. Cangini’s jointed brush is used mostly with excavators. “It is made of steel bristles and therefore it is ideal for deep cleaning and weed-removal of curbs, platforms and banks and asphalted areas. It is equipped with a standard floating system and joint on its head, which enables the brush to adapt to any surface. Both positioning systems can be blocked to a fixed position in line with the operator’s needs,” explains Bloom. The mixing bucket safe discharge for excavators comes with a gearbox transmission that delivers high performance without the need for continuous maintenance interventions. The use of the dual cross relief and flow divider valves grants effectiveness and reliability, even in the most difficult work conditions. The Cangini mulcher is designed for heavy-duty operations – it is equipped with a reinforced double-frame, while an anti-shock shielding protects the bearings. It also comes with standard Y blades with intermediate knife or hammers. Maximum back-pressure allowed is 10 bar, therefore TC mulchers do not require any drainage line in most of the cases. Cangini’s new multi-screening bucket – with a new rotary double drum design for machines up to 30 tons – is suitable for selection duties on turned soils and resulting materials. The material size change, from 25 to 60 mm and up to 65 mm for the VMS20-VMS30, is controlled directly and hydraulically from the cab without replacing any mechanical piece, thus reducing the working times considerably. The screening bucket is ideal for grading of bulk materials from demolition and digging works and the mixing of terrain and peat. “The screening operation is carried out by an hydraulic sieve with rotating HB400 knives. The material thickness can vary from 0 to 20 mm, to 0 to 35 mm with standard equipment. Customise shafts can also be supplied,” explains Bloom. The sharp-cut branch cutter bar is suitable for tree pruning up to 100 mm. When pruning, it does not harm the plant, because it cuts sharply and precisely without uprooting the branch. The bar’s blades in HB450 grant resistance and extended useful life. Bloom reasons that a key component to succeeding with any fleet of equipment, whether heavy or compact, is getting the most out of your machines. 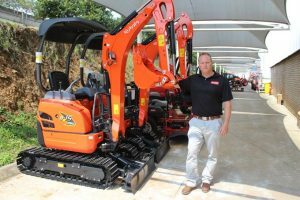 “Whether you have a mixture of excavators, skid steer loaders, telehandlers or TLBs, implementing various tools and attachments can expand your assets from one-dimensional pieces of equipment into multipurpose and adaptable machines,” he says. The range complements Smith Power’s extensive range of machines. Bear in mind that Smith Power already distributes several brands that will work well with this range of attachments. 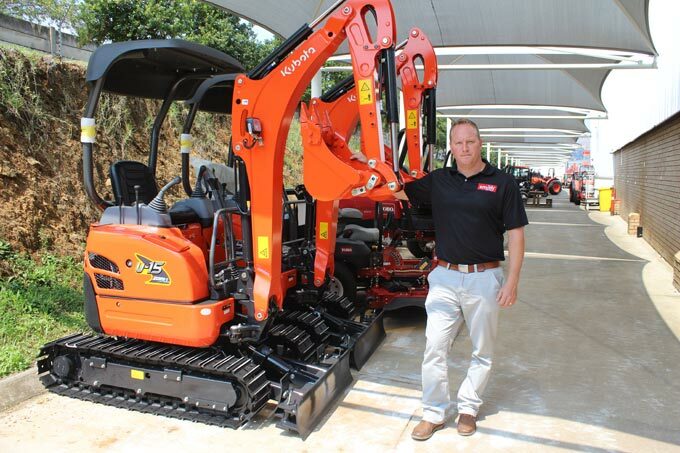 These include Kubota’s range of TLBs and compact excavators, as well as the AUSA range of telehandlers, among others. “Cangini’s extensive range of attachment solutions eliminates the need for our customers to purchase additional machines. These attachments can make their fleets more versatile, as they can adjust each piece to accommodate changing applications on many different sites. If one is digging with a backhoe one day and transporting materials via a fork the next, they can diversify one machine to perform the task of many,” concludes Bloom.